AS10D41: 11.8 volt 4400mAh rechargeable Li-ION battery for Acer Aspire, Acer TravelMate, eMachines, Packard Bell, Gateway laptops. See full x-ref list below. 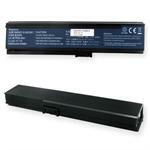 Acer 31CR19/652 Laptop battery, 10.8V 4400mah LI-ION. See full x-ref list for compatibility. Acer AS10D31: 10.8volt 5200mAh rechargeable Li-ION battery for ACER laptop & notebook computers. See full x-ref list for compatibility. AL10G31: 11.1 volt 5200mAh Li-ION battery for ACER Aspire computers. See full x-ref list for compatibility. DR201: 10.8volt 4200mAh Li-ION rechargeable battery for Laptop Computers and Medical Monitors. Replaces 20178757-002, 91.47028.011, LI201SX, LI201SX-48, SM201, SM201-6, SMP-201, SMP-201S, SMP201, SMP201S etc. LTLI-9114-4.4: 11.1 volt 4400mAh Li-ION Battery for ACER laptops. (see full x-ref list). 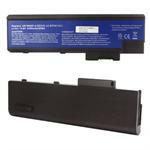 LTLI-9123-4.4 : 11.1 volt 4400mAh Li-ION battery for ACER laptops. 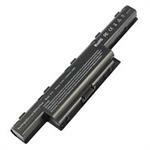 LTLI-9128-4.4 : 11.1 volt 4400mAh Li-ION battery for ACER Aspire One laptops (see full x-ref list). 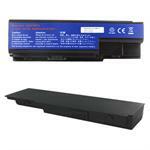 LTLI-9129-4.4 : 14.4 volt 4400mAh Li-ION battery for ACER Extensa laptops (see full x-ref list). LTLI-9032-4.4 : 14.4 volt 4400mAh rechargeable Li-ION battery for ACER laptop computers (Aspire, Ferrari, TravelMate models). See full x-ref list. LTLI-9060-4.4 : 14.8 volt 4400mAh Li-ION battery for ACER laptop computers. Fits Aspire and TravelMate models (see x-ref list below).